Treat someone special to this festive Trias Fair Trade gift box. Make any day a celebration with a bottle of Raza Fair Trade Torrontés Brut sparkling wine from Argentina. 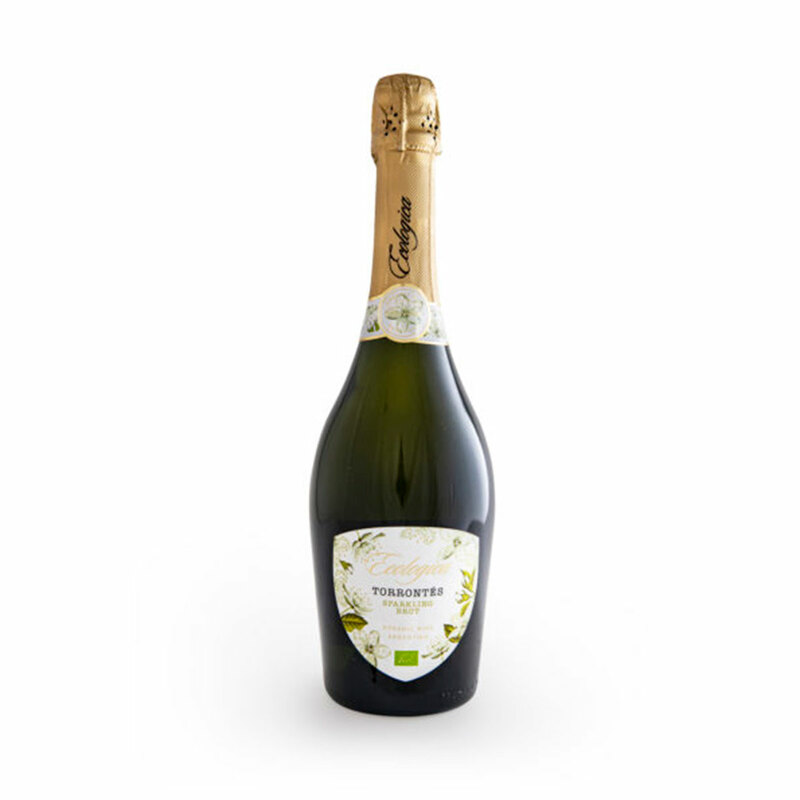 This lively sparkling wine boasts a persistent effervescence with a subtle floral aroma and fresh citrus notes. 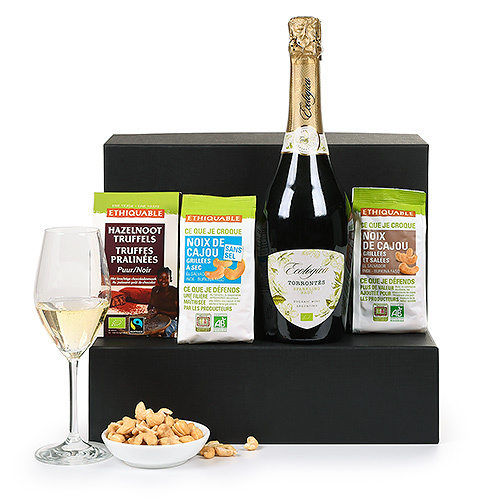 Made in the traditional manner, this lovely Fair Trade sparkling wine is perfect to enjoy as an aperitif or for any occasion. 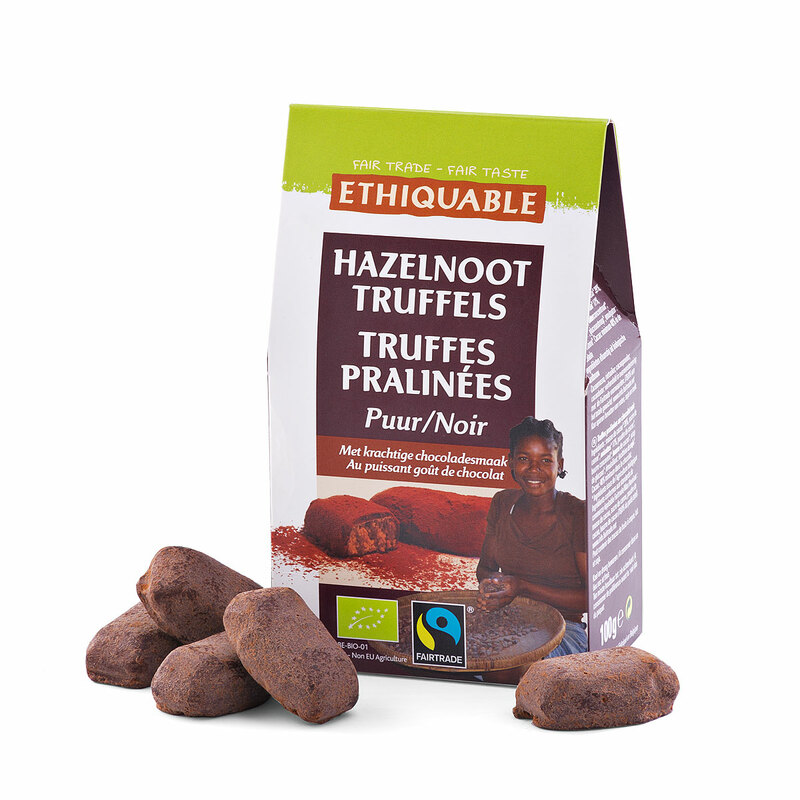 Scrumptious Ethiquable rich dark chocolate truffles with praliné are a delicious accompaniment to the sparkling wine. The richness of the Fair Trade chocolate is balanced by two bags of crunchy nuts. 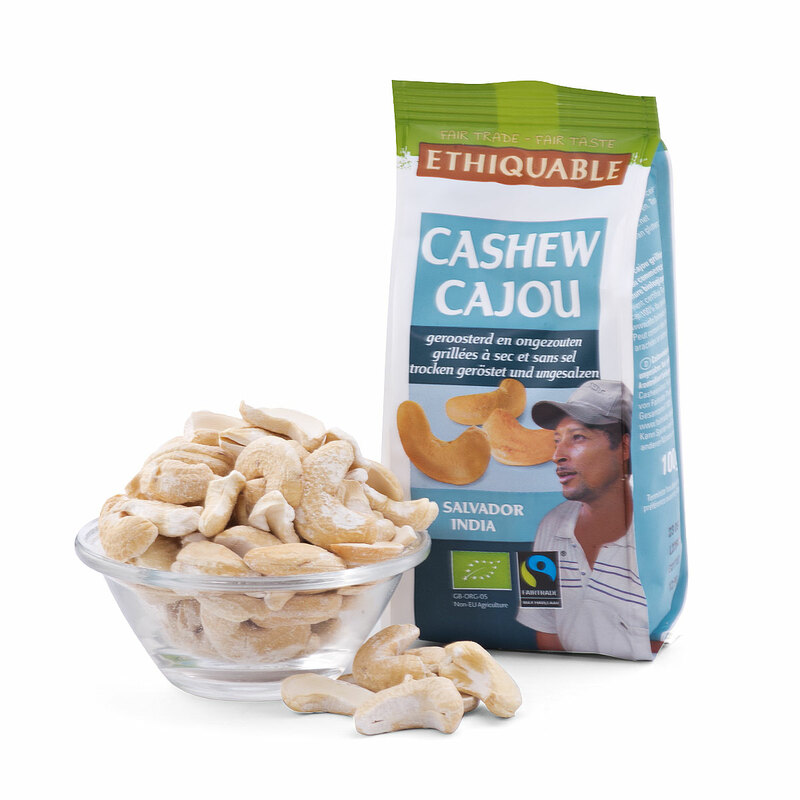 Roasted salted cashews and unsalted cashews from El Salvador are a tasty snack anytime. Hand packed in a luxury black gift box, this Fair Trade gift set offers the ideal blend of style, elegance, and ethical sourcing. Trias of Belgium gathers the finest Fair Trade products from around the world to turn dreams into opportunities for small farmers and entrepreneurs. Send the gift is that fair and delicious! Please note that the bowl and glass are not included with the gift. Ingredients: Cocoa mass (39%), cane sugar, hazelnuts (17%), cocoa powder, butter oil, cocoa butter, glucose syrup, emulsifier (soy lecithin). Chocolate contains: cocoa solids 48% min. Allergy Advice: May contain traces of nuts, milk and soy. 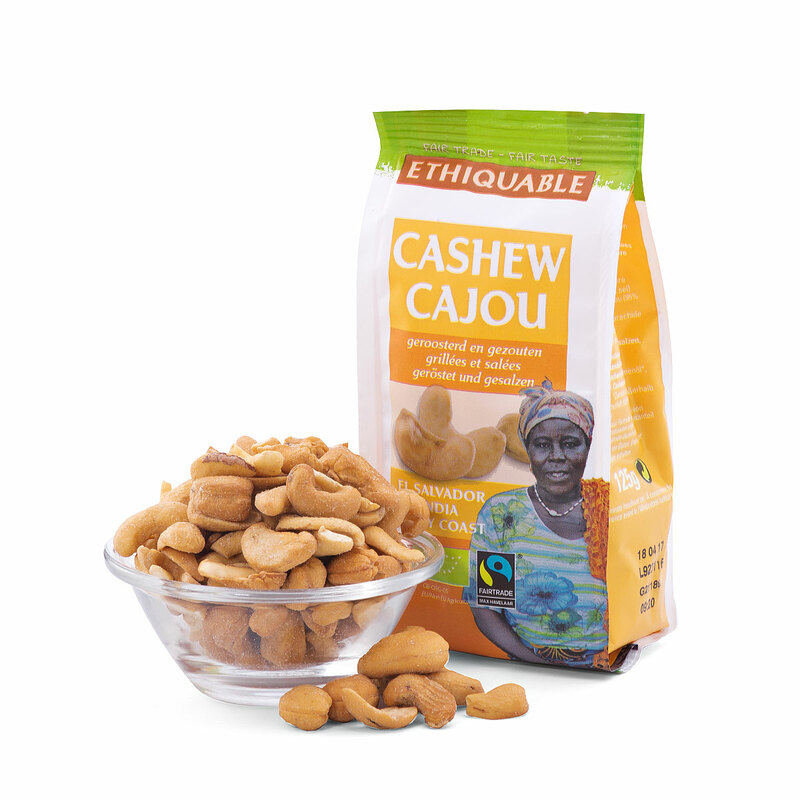 Ingredients: Roasted cashew nuts, salt (1%). Allergy Advice: May contain traces of gluten, peanuts and other nuts.